For more than two decades, the team at Perkins+Will has created neighborhoods, districts, and regions that are vibrant, connected, and eminently livable. Working out of 24 offices around the globe, Perkins+Will's team of more than 80 planners, urban designers, and landscape architects bring with them a wealth of knowledge and passion to each community they serve. The firm strives to solve the challenges facing today's cities by tackling growth, transformation, and leadership challenges with expertise, compassion, and a true belief in the power of collaboration. Perkins+Will is known for its innovative, boundary-pushing solutions in planning, design, and outreach. Their practice creates places that people love while actively improving the social, economic, environmental, and human health of cities. The firm's expertise is vast, ranging from waterfronts, regional planning, and urban regeneration, to brownfield redevelopment, transportation-related planning, and design of university and institutional campuses. In places like Brooklyn, New York; Baton Rouge, Louisiana; and Tulsa, Oklahoma, Perkins+Will is developing Urban Health Districts: data-driven planning frameworks that bring health beyond the walls of the hospital. 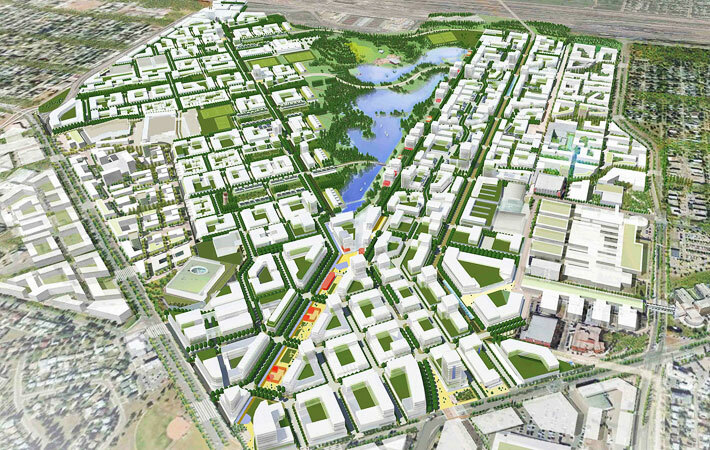 The South Fremont Community Plan uses performance-based zoning, resulting in maximum flexibility in construction and development to achieve ambitious job-focused TOD goals. Two seminal projects that exemplify the quality of the firm's practice are the Southeast Federal Center (The Yards) in Washington, D.C., and Mission Bay in San Francisco. Perkins+Will's planning leadership over nearly 20 years helped transform these post-industrial waterfronts into vibrant new districts that, today, reconnect each city with its historic waterfront. Research partnerships are a hallmark of Perkins+Will's practice. Its work with public and private partners, including Georgia Tech and the Washington, D.C., Department of Environment, has resulted in metrics to track the success of Atlanta's new streetcar and enhanced climate adaptation strategies for our nation's capital. The firm also has a strong commitment to ethical practice and social responsibility. Through its pro bono Social Responsibility Initiative (SRI) Perkins+Will gives back one percent of its time to support public interest projects like Piggyback Yards, a project designed to protect and restore the natural and historic heritage of the Los Angeles River, and the Midtown Greenway Corridor in Minneapolis. A unique approach to community engagement and an emphasis on helping neighborhood residents and stakeholders to understand and address complex issues is at the foundation of Perkin+Will's transformative work. The team is continuously inventing interactive engagement tools, including its award-winning Planning Game, to focus on critical decision factors by bringing together experts, community leaders, and the public. This practical framework for hands-on stakeholder participation creates open give-and-take, introduces participants to real project data and equips them to be effective members of the planning team. Similar innovative engagement techniques helped stakeholders at the Florida International University unite three separate campus sites as well as strengthen communication and collaboration between campus and community stakeholders, and local government agencies. Perkins+Will's more than 400 planning projects have helped to transform communities around the world and advance the field of planning through constant invention and an unwavering commitment to collaboration. 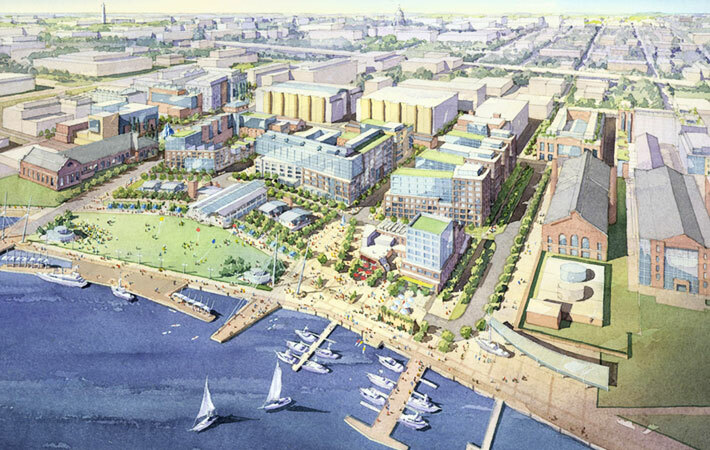 The Yards in Washington DC shines a new light on public waterfronts in a living/working district of adaptive reuse and bold new design along the Anacostia Waterfront.